Rachel Hannah Weisz popularly famed as Rachel Weisz is a British Actress. In the year 1990, she started her career in the movie appearing in Inspector Morse, Scarlet and Black, and Advocates II. In Death Machine movie, she made her film debut. For her role as Evelyn Carnahan-O’Connell in the movies: The Mummy (1999) and The Mummy Returns (2001). British Actress, Rachel Weisz was born on 7th March 1970 in London, United Kingdom. 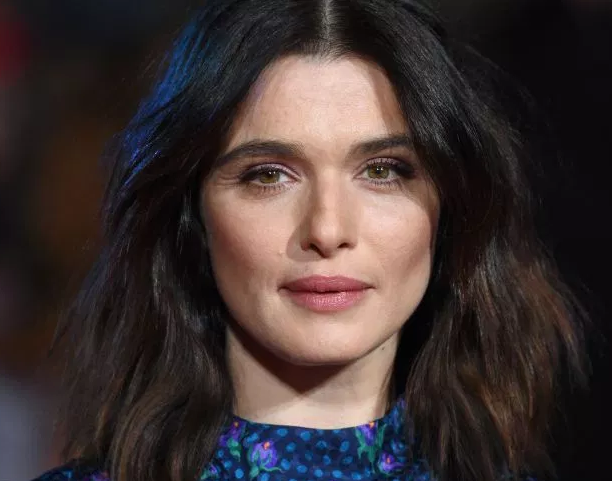 Her real name is Rachel Hannah Weisz. She has a sister named Minnie. Her zodiac sign is Pisces. She was born to Geroge Weisz and Edith Ruth Weisz, her parents. Her nationality is English. At the age of 14, she started modeling. She attended North London Collegiate School. After leaving her first school, she went to Benenden School and then, attended St Paul’s Girls School for one year and completed her A-levels. She is graduated in Bachelor of Arts degree in English. Rachel has a height of 1.7 m and balanced weight of 57 kg. Her eye color is hazel. Her body measurement is 34-24-34. Rachel began his career by appearing in the movie Advocates II, Inspector Morse in the year 1992. She also appeared in the drama "Scarlet and Black". Later, she made her film debut in the movie named Death Machine in the year 1994 and later she played in the movie named Chain Reaction in the year 1996. In the year 1997, she showed in the drama named "Swept from the Sea" and in the year 1998, she appeared in the comedy-drama "My Summer with Des" and crime movie "I Want You". In the year 1999, she played in the movie "Sunshine", "The Mummy" in 1999, "The Mummy Return" in 2001, "About a Boy", drama in 2002, "The Runaway Jury" in 2003, "Envy" in 2004, "The Contestant Gardener" in 2005, "The Fountain", "Eragon", "Mummy:Tomb of the Dragon Emperor" in 2006, "The Brothers Bloom" in 2008, "Agora" in 2009, "The Whistleblower" in 2010, "To the Wonder" & "The Bourne Legacy" in 2012. In the year 2013, she plays in Oz the Great and Powerful, "Youth" in 2015, "The Light Between Oceans" in 2016, "My Cousin Rachel" in 2017. The film, The Contestant Gardener made her earn the Academy Award for Best Supporting Actress, the Golden Globe Award for Best Supporting Actress, and the Screen Actors Guild Award for Outstanding Performance by a Female Actor in a Supporting Role. She then received the BAFTA Britannia Award for British Artist of the Year in 2006. In the year 2018, she co-starred in a British biographical film about sailor Donald Crowhurst, "The Mercy", directed by James Marsh. Rachel won the Best Supporting Actress in a Motion Picture in Screen Actors Guild Award and the Golden Globe Award for her role. She was also nominated for the Best Actress in a Leading Role in BAFTA Award. The role also led to her to be crowned British Actress of the Year by the London Critics' Circle Film Award. Some of her popular movies are Stealing Beauty, The Shape of Things, The Mummy, the Mummy Returns, Constantine and many more. Rachel is a married woman. She was married to Dannen Aronofsky, director. The couple is blessed with a single child named Henry Aronofsky. In the year 2010, the couple got divorced. In the year 2011, she married Daniel Craig. The couple is living a happy life and there is no any sign of separation between them. The net worth of Rachel is $40 Million and her source of income is from movie assignment. Her salary is still to figure yet and will be updated soon. She has inked a tattoo of a ladder on her hip. She was ranked #30 by Stuff magazine in the list of “102 Sexiest Women in the World” in 2002. She started modeling at the age of 14. Emily Mortimer was her classmate at St Paul’s Girls School in London.